Working as architects in Putney, Shape Architecture in the development of a commercial unit on Upper Richmond Road. The building occupies a site with great potential as it sits at the end of a block and in front of the Burial Ground. The ground floor shop is at present empty and is the site of many businesses that have found the viability of the unit challenging. The Burial Ground is a green setting off a busy road that is sadly much underused. 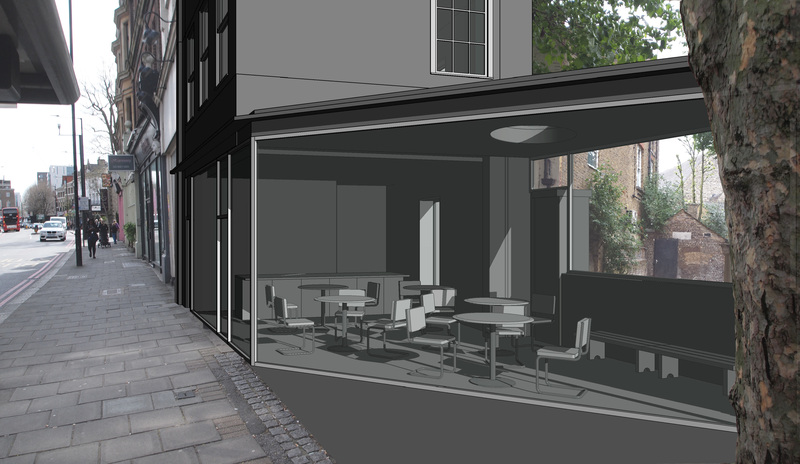 This is the context in which a contemporary lightweight glazed addition to the café is being designed. The additional floor area it is hoped will at last make for a viable business unit and the visual and physical link with the burial ground will help in popularising the area and giving it a welcome amount of natural surveillance. In this way a small elegant extension can have a big impact. The plan form of the extension is determined by the location of the burial ground perimeter wall and it is important that this is retained. A large tree also sets further constraints. Out of this an interesting tapering plan form has been formed. This shape is enclosed in glass in order that the building can be as transparent as possible and upon which a green sedum roof is set. Many buildings will look down upon the new extension and a so a green roof will further help the proposal integrate into its setting. 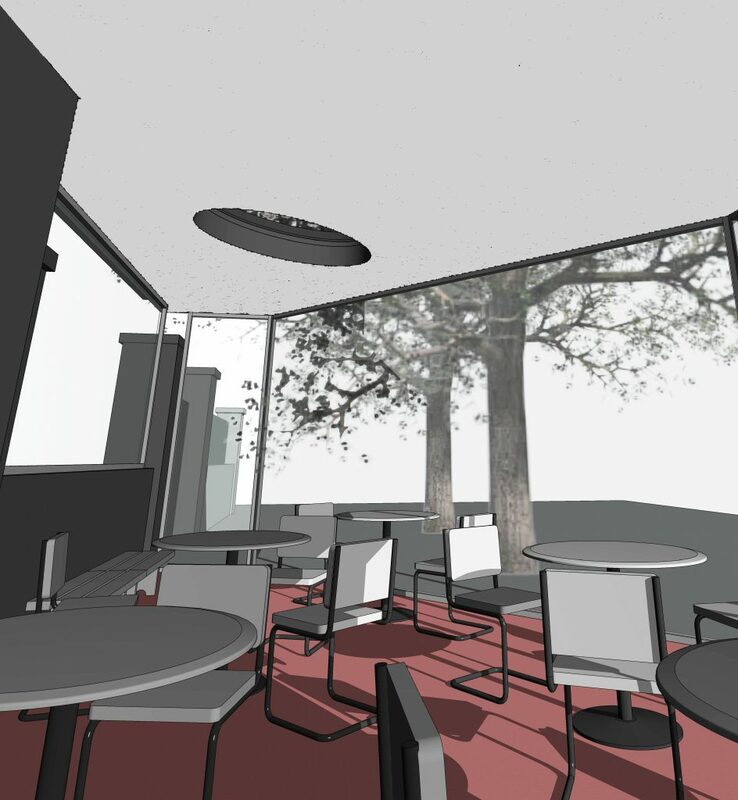 A feature rooflight is set within the new roof to allow those in the café to look up and see the canopy of the neighbouring tree. The glazed façade permits views into a busy cafe and through to the burial ground. The glazing sits on the retained historic wall in the same zone as the present railings and helps to maintain the visual importance of the brick wall and its texture and detailing.